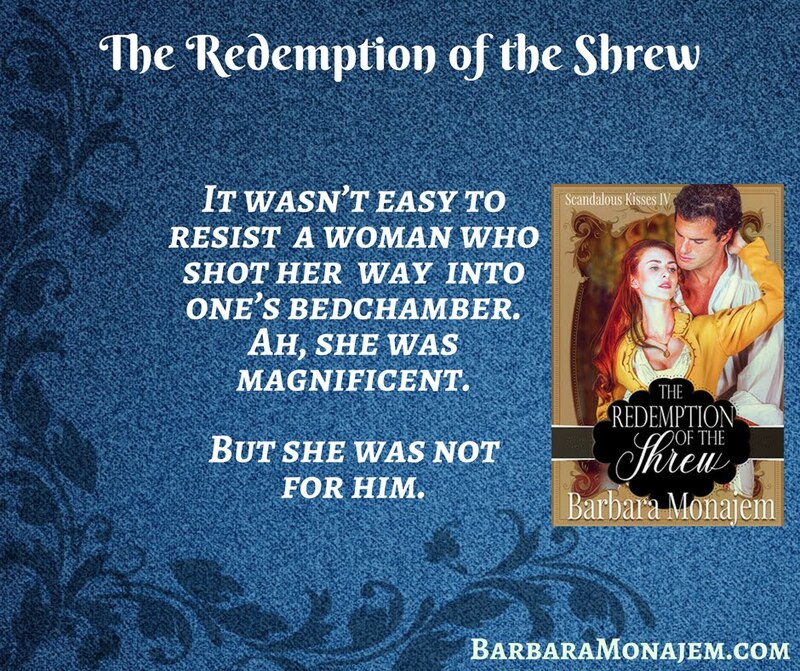 Please welcome Barbara Monajem, author of The Redemption of the Shrew, a steamy Regency romance. Barbara has some wonderful prizes to give away during the tour. Please be sure to enter with the Rafflecopter below. There is an opportunity every day to enter for your chance to win one of the fabulous prizes. So join us for a fun blog tour journey and be sure to enter every day for your chance to win. You may find all the blog tour locations here. Nothing is more painful than rejection—particularly when completely naked! A clandestine meeting, particularly where nakedness is involved, is best arranged for a moonless night. Or so Gloriana Warren told herself, for her mother would never have uttered such a scandalous dictum. Unfortunately, it was tonight or never. Tomorrow, the man she had sworn to love forever would leave Lancashire and return to London—without her. They wouldn’t be able to marry for years because of his stupid scruples about money. Men and their tedious pride! She and the Marquis de Bellechasse loved one another. They shared the same lofty ideals. She had a substantial dowry. Marrying now made sense. Not only that, her mother would die happy. So Gloriana was taking matters into her own hands. She had planned the upcoming encounter in glorious detail—every word, every gesture. As she emerged from the summerhouse to greet him, he would stand and stare at her, transfixed by her beauty. She would fling herself into his waiting arms, swept away on the tide of his passion. She wasn’t sure exactly how it would go after that, apart from plenty of kissing, but judging by her previous experience of Philippe’s kisses, it would be the most thrilling experience of her life. She sneaked out the French doors, arms full of blankets, and glanced back up at Garrison House. Not a glimmer of candlelight showed in the windows. She hurried through the rose garden and skirted the lawn, keeping to the bushes and out of the moonlight. In the secret room under the summerhouse, she and her darling Philippe would be safe. Tomorrow they would announce their engagement to Mama. They would send for a special license and be married within a week. Ten minutes later, she had set up a makeshift bed under the summerhouse and removed all her clothes. Shivering more from excitement than from the chilly night air, she waited for Philippe to arrive. Tonight would be the most perfect night of her life. Winner of the Holt Medallion, Maggie, Daphne du Maurier, Reviewer’s Choice and Epic awards, Barbara Monajem wrote her first story at eight years old about apple tree gnomes. 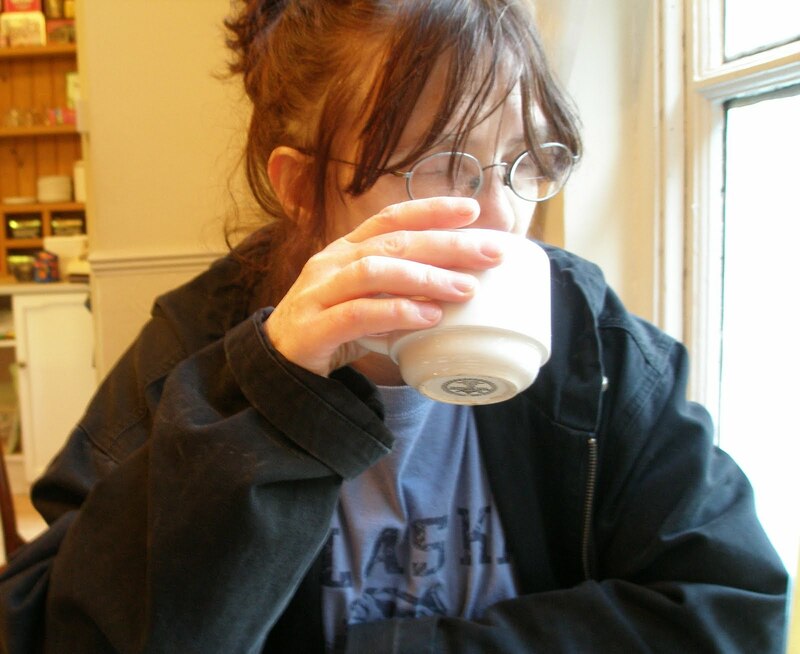 She published a middle-grade fantasy when her children were young, then moved on to paranormal mysteries and Regency romances with intrepid heroines and long-suffering heroes (or vice versa). Barbara loves to cook, especially soups. She used to have two items on her bucket list: to make asparagus pudding and succeed at knitting socks. Asparagus pudding proved to be pretty horrible, and she is too fumble-fingered to make socks. Now she just sticks with writing books. She lives near Atlanta, Georgia with an ever-shifting population of relatives, friends, and feline strays. This entry was posted in blog tour and tagged Barbara Monajem, blog tour, excerpt, giveaway, Regency romance, reviews by crystal, The Redemption of the Shrew by Linda / Lyndi. Bookmark the permalink.